The The King eliquid Real kings and queens are people whose heads are crowned with dreams as they sit on the throne of passion. King eliquid is a sophisticated King’s Crown eliquid birthed from imagination and dedication. It is a perfectly balanced, complex experience infused with notes of…you’ll have to figure this flavor out for yourself! King’s Crown eliquid is brought to you by the creator of Suicide Bunny. 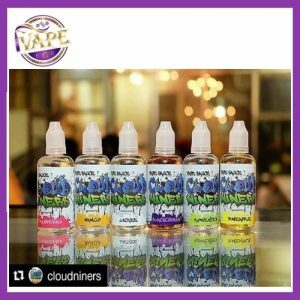 The highly anticipated line-up will not disappoint with its deliciously complex flavor profiles, which is something we’ve come to expect from this amazing juice maker. Primary Flavors: Creamy, Nutty, Coffee?